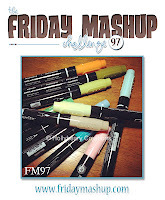 Hi and welcome to this week's sketch challenge at Create with Connie & Mary. 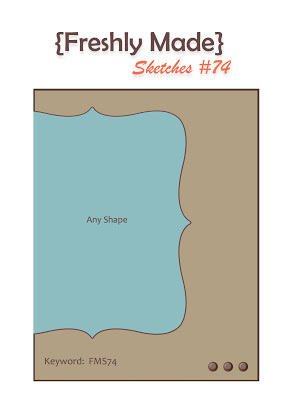 This week we have a fun sketch for you to try. For this card I die cut the letters out of Whisper White cardstock, then adhered the negative letters to colored card using dimensionals. This card is larger than normal at 3.5" x 8.5" in order to fit the letters. BTW, given that Valentines is over and I didn't want to use the word "love", I had to think what (appropriate) four-letter word I could use for this card - I actually don't know anyone having a baby LOL. Thanks for looking. Have a go at this fun sketch! This is my second post today. 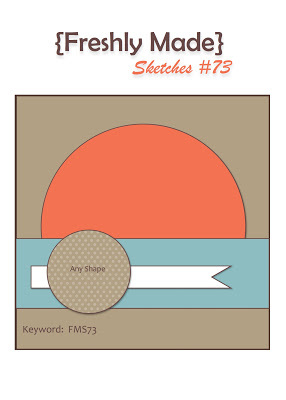 Here is my card for this week's sketch challenge at Freshly Made Sketches. I also used the inspiration photo at Stampin' Royalty. My mum gave me a pack of large paper doilies she had bought in her local supermarket, so I used one of them today for my card. These guys are biiiig! On top of the doily I placed some butterflies from the Butterflies Embosslit and the Butterfly Bigz die. The sentiment comes from Just Believe and is embossed in white. 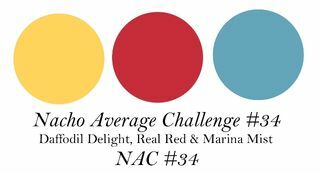 While I don't normally like bright colors, the colors at Nacho Average Challenge this week looked quite appealing together, so I made this card. This wasn't what I intended to make at all, but I'm quite pleased with the final result. It's as CAS as CAS gets, using ribbon to show the challenge colors and a simple sentiment stamped in Real Red - all on a Whisper White card base. Hi everyone. 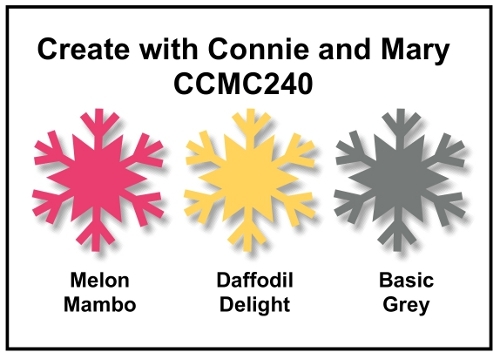 Today at Create with Connie & Mary we have a color challenge - Basic Gray, Melon Mambo and Daffodil Delight. Not a flower in sight LOL. 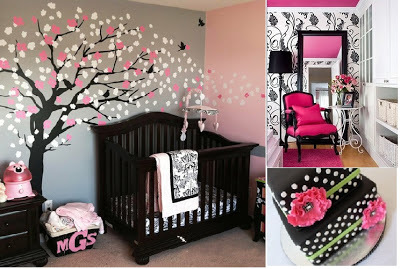 I'd seen the "thanks" done this way on a card on Pinterest (which I didn't pin, unfortunately), so it's not my idea. The letters are popped up on little slivers of dimensionals. The honeycomb layer has DSP hexagons randomly placed in both Melon Mambo and Daffodil Delight. A button and bakers twine bow finishes it off. Thanks for looking. 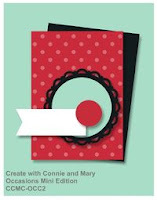 Head on over to Create with Connie & Mary and check out the fantastic cards created by the challenge team. 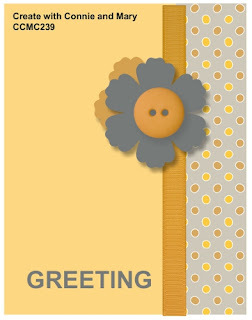 Here is a very quick card I made for the challenge at CAS(E) this Sketch. My day started out with our puppy Dexter getting my glasses and completely destroying them. I thought I'd put them far out of his reach but I under-estimated his determination! So until I sort out insurance and new glasses, I'm wearing cheapie glasses from the $2 Shop. Anyway, late this afternoon, I thought I'd try making a couple of cards. Not too successfully, I'm afraid. But this is the best of my afternoon's efforts. 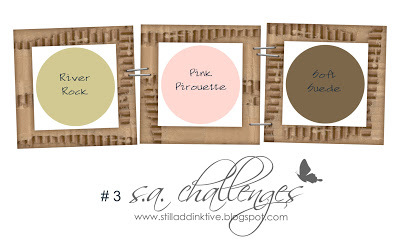 Today's card covers several challenges out this week: the sketch challenge at Freshly Made Sketches; the color challenge at Just Add Ink; the SUO Challenge to use SAB 2013 products and the Friday Mashup challenge to use markers and/or texture. 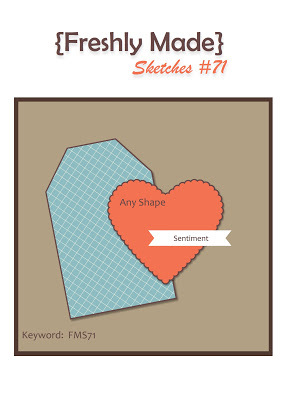 And I've only now realised the sketch at FMS is a square card - oops, sorry ladies! 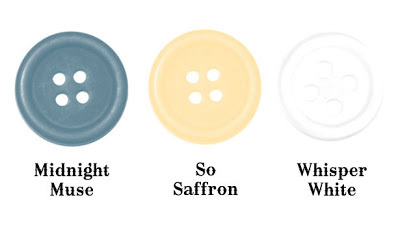 The colors this week at JAI are really pretty together - Midnight Muse; So Saffron and Whisper White. I chose to use Whisper White as my base, with So Saffron as my second color then touches of Midnight muse. I inked up the stamp using markers and stamped onto Whisper White cardstock. I then cut it out using my Circle Scissor. It is adhered to the large doily using dimensionals. The smaller doily is from the Delicate Doilies Sizzlet with a punched piece from the now-retired Blossom Bouquet Triple Layer Punch. A 3/4" circle punch in Midnight Muse and a jumbo pearl finishes off this embellishment. Edited to add: This card was chosen as top pick at Just Add Ink and SUO Challenges and also awarded a Glamette Award at Friday Mashup. For my card, I decided to make a birthday card for my youngest niece, who will be 3 shortly. Being a little girl, I figured she'd like bright colors so went for Melon Mambo; Lucky Limeade; Pool Party and Chocolate Chip - not a combo I'd usually gravitate towards! 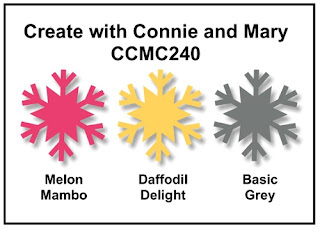 I pulled out an older stamp set for this card - Create a Cupcake. It was fun to play with this set again. Lots of punches went into the making of this card - my desk was covered with them LOL. Thanks for looking. Go check out the challenge and have a go at this sketch. I had a doily left over from my card the other day so that became the focal point for this card. I also decided I wanted a cream on cream look with a pop of color. The DSP comes from what is probably my favorite paper - Love Letters. And I'm loving those Designer Builder Brads! 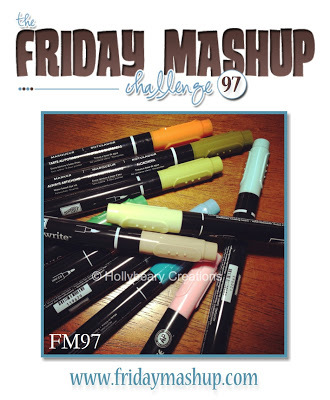 Hi, it's color challenge week over at Create with Connie & Mary. Check out these gorgeous colors from the 2011-13 In Color Collection. For my card, I used the Hearts a Flutter set and matching framelits to make a banner card. Now, this idea is far from original as I've seen plenty of gorgeous cards made using this layout. 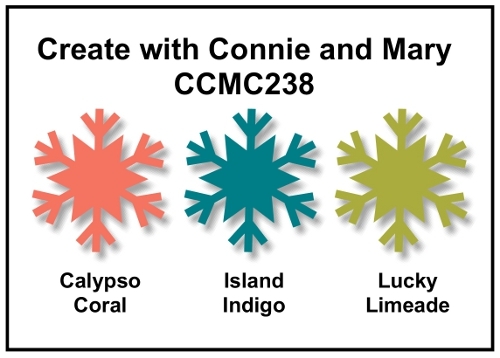 I stamped the flag banner in Island Indigo and Calypso Coral ink and the rounded banner in Lucky Limeade ink. I adhered a piece of Lucky Limeade Bakers Twine across the card and used dimensionals to stick the banners in place. 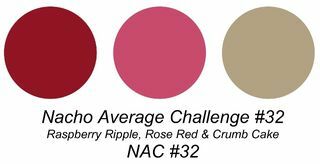 Check out the gorgeous creations from the rest of the design team and give these trendy colors a go! 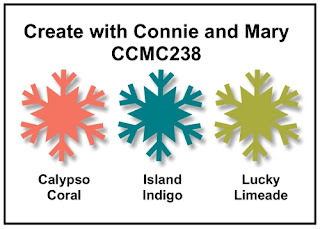 Before I go, I want to remind you that the Spring Edition 2013 at Create with Connie & Mary is currently underway and it's not too late to join. 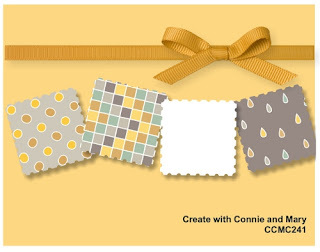 Take my word for it, there are some stunningly gorgeous projects featuring products from the Spring and Sale-a-Bration catalogs. The added bonus is that each project comes with very detailed downloadable instructions. We have a national holiday here in New Zealand today, so I got the afternoon to stamp. What's better than a day off work in the middle of the week? A day off work in the middle of the week spent stamping LOL. 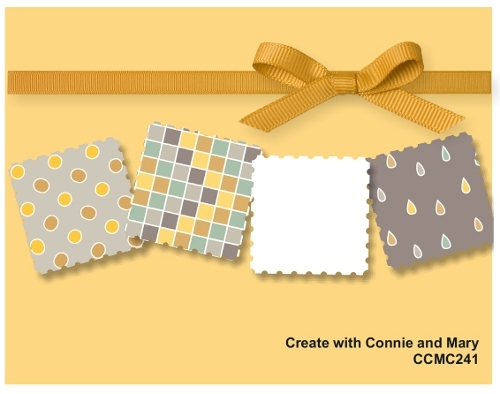 I decided to take part in the sketch challenge at Create With Connie & Mary for the Occasions Catalog. I tell you, that design team is pretty talented - there's a heap of cool projects that only subscribers can get to see and download. 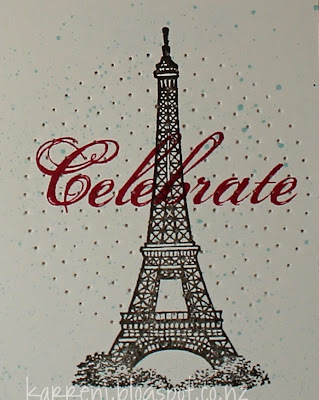 I stamped the En Francais background onto Crumb Cake cardstock using Rose Red ink, then layered that onto Raspberry Ripple. Instead of the angled card panel, I opted to use the tulle ribbon and I quite like the effect. The centerpiece was made using the doily sizzlet die and the new designer builder brads. Edited to Add: This card was chosen as the Top Nacho at Nacho Average Challenges! Thanks, guys. This is my second post today. 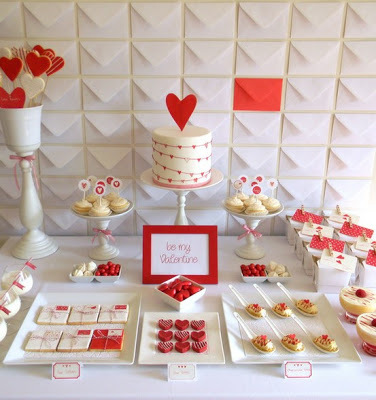 I had to have another go at the CAS Valentine challenge over at SUO Challenges. This time I used the inspiration photo from Hand Stamped Sentiments as well. Can't get much more CAS than these! 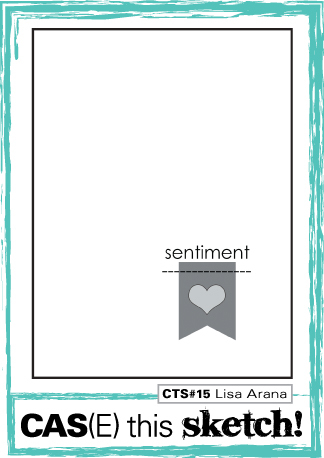 I used the heart stamps and framelits from Hearts a Flutter and the sentiment from Well-Scripted. The hearts are popped up on dimensionals. A rhinestone on each heart finishes off the cards. Edited to Add: This was a top 3 pick over at SUO Challenges. Thanks guys! 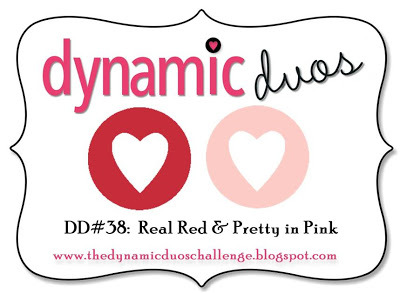 The colors at Dynamic Duos this week are perfectly geared towards Valentines Cards and that's the route I took. The challenge at SUO Challenges is CAS Valentines, so I kept my card CAS to meet that challenge as well. For my card, I cut out the word 'love' using the Typeset Alpha die. I then cut out multiple hearts from the Fashionable Hearts Embosslit, one heart from the Scalloped Heart of Hearts and one stamped heart from Hearts a Flutter. I stamped the 'you' from Fabulous Phrases in Basic Gray ink, then embellished with rhinestones and a button. So my great plans to stamp my week-long holiday away came to nothing. I lost my mojo and couldn't get enthused to stamp much of anything. 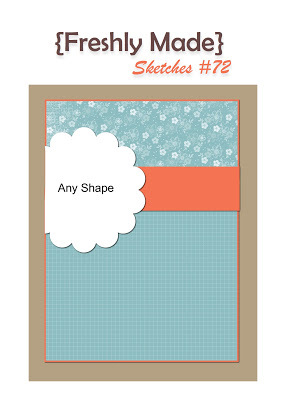 I'm still missing my mojo but wanted to make a card for the Freshly Made Sketch challenge. The base of my card is River Rock (which I loved when it was an In Color but now looks pukey to me LOL), stamped with the Hello Doily background stamp. My tag is made using the Two Tags die and cutting down one of the tags. I positioned it where I wanted then stamped the stem image from the Field Flowers set onto both layers. I then finished the rest of the stamping and added a few extra embellishments to the tag. Because I don't have any Pink Pirouette ribbon, I had to use Blushing Bride, but it matches closely enough.